There are a number of South African visa options available to foreigners who want to come to South Africa. The type of visa you would need would depend on the purpose of your stay – is it long term or short term? Is it for immigration or just a holiday? To help you understand the visa options, please read through the summaries below. For more information, simply click on the headings to go to the relevant pages. Critical Skills Visa – This visa is based on a list of occupations that are needed in South Africa. In order to be eligible for a critical skills visa, an applicant’s occupation must appear on the list and they must meet the criteria for the visa. Individual Corporate Workers Visa -This visa may be applied for where the applicant is going to work for a company that holds a corporate visa. Intra-company Transfer Work Visa – This visa is applicable to foreign workers who are being transferred from a company outside of South Africa to a sister branch, subsidiary or affiliate in South Africa. Quota Work Visa – This visa is no longer in use. Foreign immigrants who still hold a quota work visa is advised to review other options available to them. Exceptional Skills Work Visa – Like the quota work visa, the exceptional skills work visa is no longer in use. Those in South Africa on an exceptional skills work visa should review other options available to them. General Work Visa – Foreign immigrants who do not qualify for any other work visa can apply for a general work visa. The South African employer would need to prove that they could not find a South African citizen or permanent resident to fill the position. The corporate visa differs from the other visa types as it is granted to a company. Corporates would need to prove an ongoing need for the recruitment of foreign workers to meet a skill area that the company cannot fill with local South African labour. A spousal visa can be applied for where the applicant is married to a South African citizen or permanent resident. Where a marriage is shorter than 5 years, only temporary residency can be applied for. Partners in marriages of 5 years or longer are eligible for permanent residency. This visa is for long-term partners of South African citizens or permanent residents. 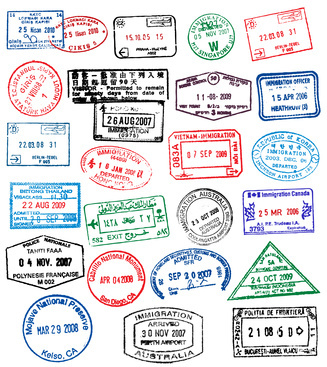 Temporary life partner visas are usually valid for 2 to 3 years. In a case where the partnership has been for 5 years or longer, the foreign immigrant could be eligible for permanent residency, provided the criteria for the visa is met. Eligible applicants for temporary residency under the relatives visa are the first or second kin of a South African citizen or permanent resident. First kin are spouses or life partners, dependent children and parents. Second kin are grandparents, grandchildren, brothers and sisters. Only first kin relatives are eligible for permanent residency. A business visa can be applied for when a foreign immigrant want to start or buy into a business in South Africa. To be eligible for the visa, applicants must be able to show that they have at least ZAR5 million in cash available and meet the other criteria for the visa. Applications for both temporary and permanent residency can be made under this visa. Retirement visas are a means of immigration to South Africa for foreigners who want to spend their retirement, or part thereof, in the country. There is no age limit on this visa, but applicants must be able to prove that they can sustain themselves during their retirement years. Foreign immigrants can apply for both temporary and permanent residency under this visa. Foreign immigrants who can prove a net worth of ZAR 12 million can apply for a financially independent visa. Applications under this visa are for permanent residency and as such immigrants who hold a financially independent visa are free to work, study, retire or start a business in South Africa. Study visas are required by all foreign immigrants who would like to attend a learning institution in South Africa. This applies to both students attending further education and minor children of foreign immigrants residing in South Africa. By law, all children between the ages of 6 and 16 are required to attend school. Tourist visas are necessary for short term stays in South Africa, such as a holiday. For many countries there is no requirement to obtain a visa before entering South Africa, as the visa will be issued at the airport. This can range from a one week visa to a 90 days visa. Extensions of up to 3 months can be applied for. For foreign nationals coming to South Africa on business, a short stay business visa is commonly referred to as a ‘visitor’s visa with work endorsement’. This endorsement is added to the ‘normal’ tourist/visitor’s visa, provided the applicant meets certain criteria. The South African immigration legislation makes provision for a visa that allows the holder to conduct business activities within South Africa for a period of 3 months. It is possible to extend this period by a further 3 months. Need help with your visa application? Intergate Immigration is one of the leading experts in immigration to South Africa. Since 2005 we have processed more than 9 000 visa and visa applications, helping thousands of families, individuals and corporates with immigration to South Africa. As South Africa’s only immigration company with ISO 9001 certification, we are most definitely in the perfect position to help. You can call our Cape Town office on +27 (0) 21 424 2460 or our Johannesburg office on +27 (0)11 234 4275. If you’d like us to contact you instead of the other way around, simply complete our online assessment form or request a call back. One of our consultants will endeavour to contact you within 24 hours.